There are so many things I could say about Kelsey and Luke's wedding this past weekend at Owen's Farm in Summerton, South Carolina. 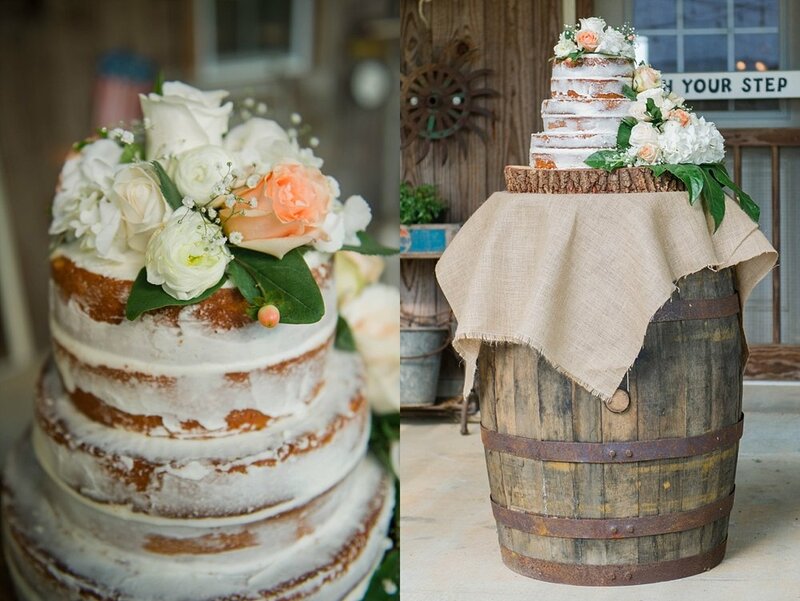 To put it simply, the wedding was sentimental, special and breathtaking. There were so many little details that pulled everything together, the precious hands and hearts that made the day go so seamlessly were just some of the main components that made this wedding one for the books! I met up with Kelsey and her 7 beautiful bridesmaids at the farm where they began getting ready. They wore floor length, haltered, powder blue gowns from Special Occasions that looked amazing on each and every one of them. Kelsey was, of course, very princess-like in her white laced, trumpet gown that was beautifully embellished with diamond studs around the waist. She paired it with a long, flowing cathedral veil, trimmed in lace that complimented her gown flawlessly. 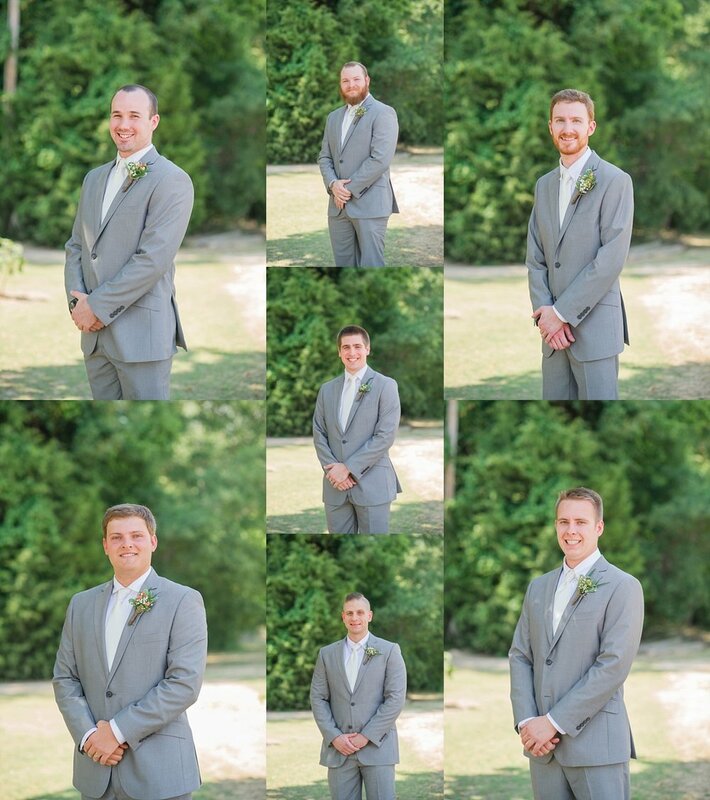 I eventually met up with Luke and his groomsmen across the farm as they began to get ready. They had me rolling at first, because I had never met Luke; they finally came clean with who was actually tying the knot that day. Once the fellas finished up, and pre-ceremony portraits were taken, we had a little bit of extra time to squeeze in a few portraits of Kelsey and Luke exchanging gifts and handwritten letters. However, the two didn’t see one another, but this gave them a chance to hold hands and speak to one another prior to exchanging their sweet vows. We sent Kelsey back in with her bridesmaids and family where they spoke prayer over her while we counted down the minutes to their ceremony. 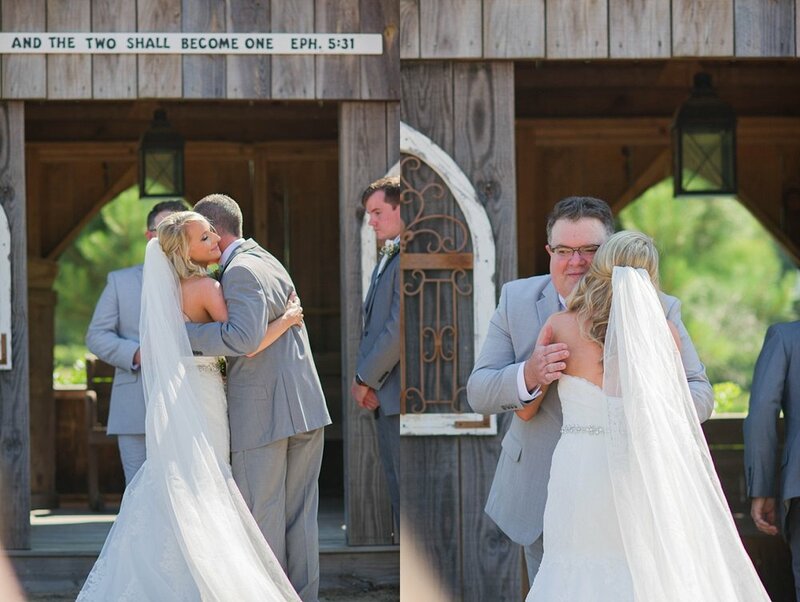 One of the most sentimental moments of the ceremony was the fact that not only did Kelsey’s father walk her down the aisle, he also officiated the ceremony. Kelsey’s uncle made the opening remarks, and noted that Kelsey was like a daughter to him, and how honored he was to be a part of their day. I love when family is tied into wedding days more personally. This was such a sweet moment for sure. 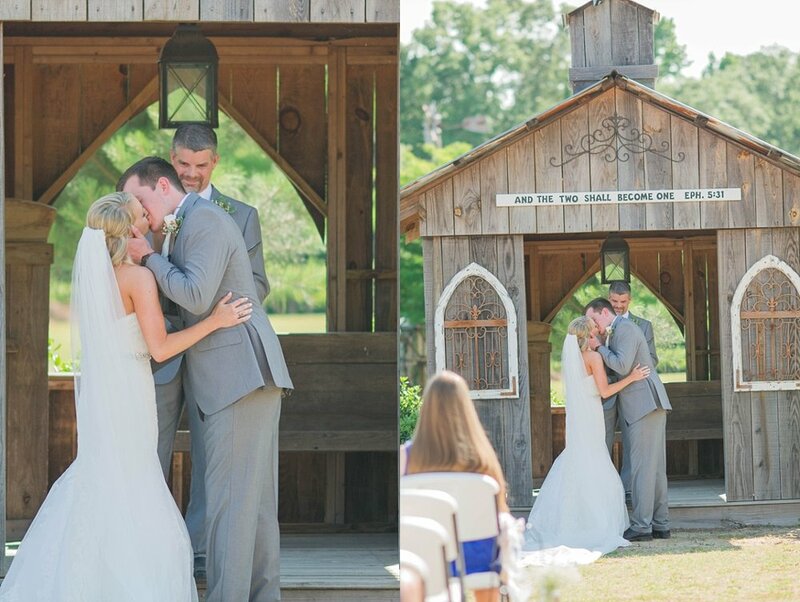 Kelsey’s father, Mr. Billy Carlisle, is the local pastor at Summerton Baptist Church, and I knew that the ceremony was going to be personal to Kelsey and Luke and from the heart. Once Mr. Billy announced them as man and wife, and they sealed the deal with a kiss, Kelsey and Luke tied a rope of three strands to reiterate the verse from Ecclesiastes 4 :12, “ A cord of three strands is not easily broken”. The two were rushed off for some formal photos and quickly sent to the dance floor where they danced their first dance, Kelsey danced with her daddy and Luke danced with his mother. I love the dances between father and daughter but honestly, my favorite is between the mother and son. I say this because as a mom, you are so proud of your children; and you could see the love on Luke’s mom’s face while they danced together, and chatted amongst themselves while the music played. The reception continued and guests mingled, and some danced, though it was just a tad hot. Lil Fred’s catered the event, with their always amazing fare of tasty foods, and Mrs. Shannon Allen decorated and created some of the most beautiful floral arrangements I have seen to date. I am serious, she has a knack for such pretty detail. Kelsey and Luke are immersed in so much love and Jesus, I was so inspired hearing not only Mr. Billy speak of their relationship, but also the endearing speeches written by Kelsey’s sisters, Kaitlyn her twin sister, and Holly, her baby sister. They had me in tears during their toasts to Kelsey and Luke, and it reminded me of my love for my 3 sisters. To have that close relationship and bond is pretty amazing when you have siblings. You could tell they love one another dearly. We finished off the evening with a sunset sparkler leave and intimate, gorgeous, sunset portraits. The day was perfect in every way, from my perspective anyway. 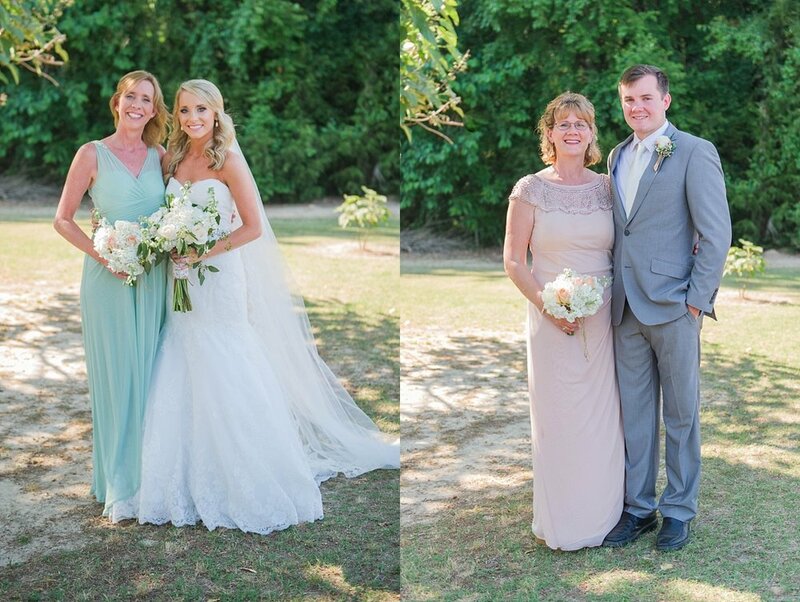 I could not have asked for a sweeter bride and groom to work with and their families, as well. Everyone was amazing and you could literally feel the love and support surrounding these newlyweds. Check out their day in photos below and leave them some words of encouragement as they venture into life as husband and wife. 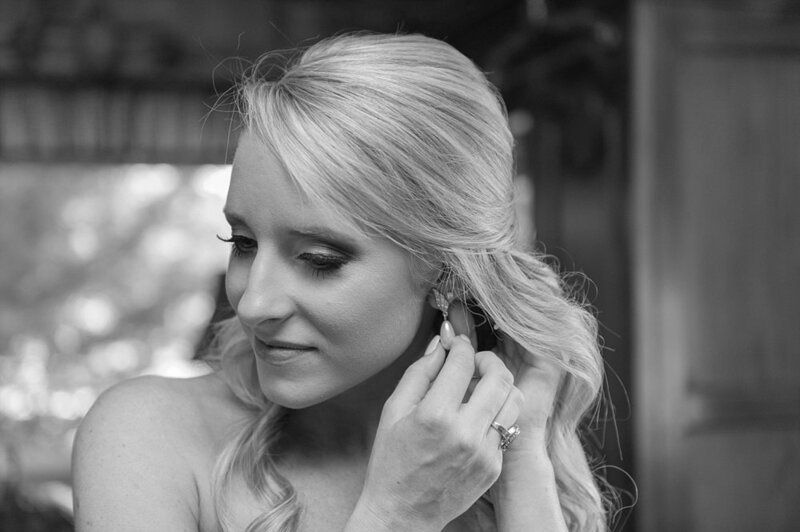 Again, Kelsey and Luke, thank you for allowing me to be a part of your wedding day. Have a wonderful time in Jamaica!